10 Museums. 60 Miles of Trail. 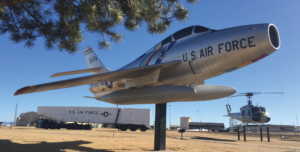 Step back in time, imagine yourself in local military heritage, and explore Malmstrom Air Force Base’s evolution. View artifacts and images from its establishment in 1942 as a bomber training base. And learn about the numerous aerial missions it hosted leading up to the present mission of controlling the world’s largest Minuteman ICBM missile field. Physical Address: 90 Whitehall Dr., Bldg. 102 NOTE: Non-Military ID card-holders please, go to the Visitor Center just to the right of the 2nd Ave N Gate in order to gain access to the museum.